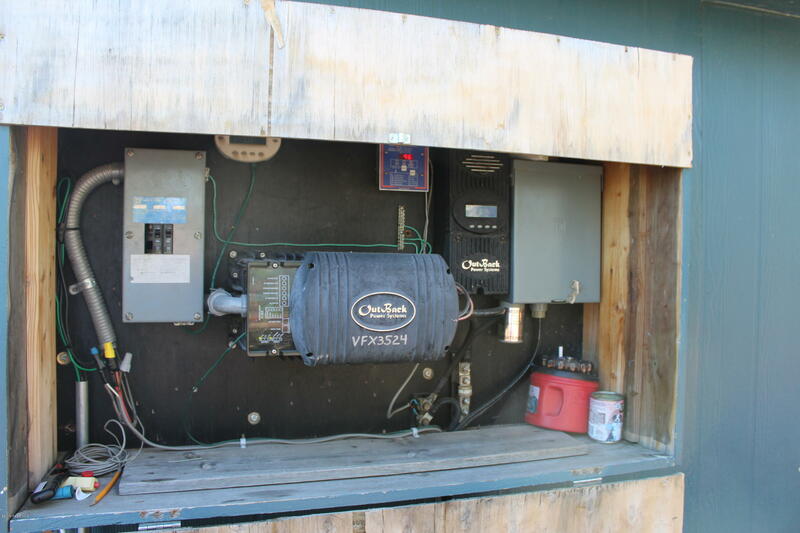 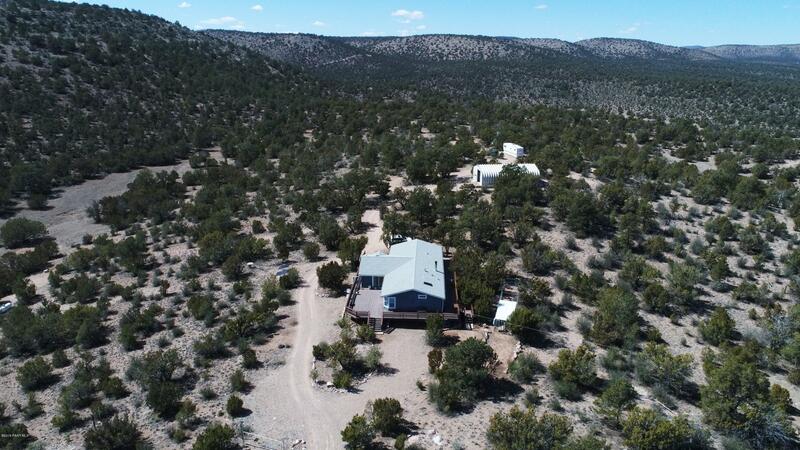 Off-grid home, 1200 sf garage, and guest camper, private well (17 gpm), owned solar system, and two septic systems all backing to State Land. 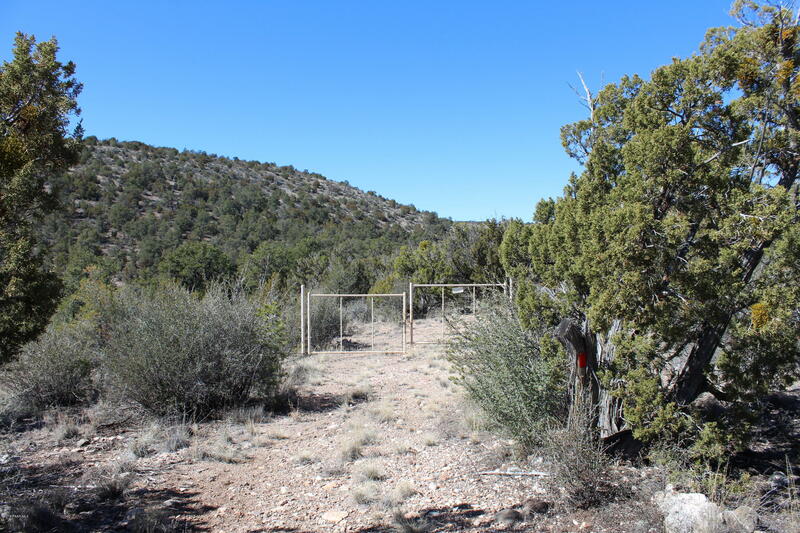 Good year-round access via the Sierra Verde Ranches maintained roads. 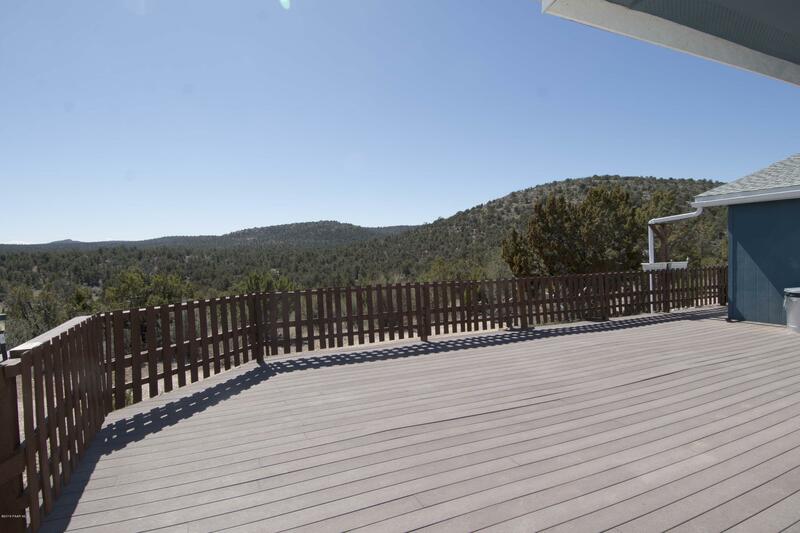 Magnificent views from the deck that wraps around the home. 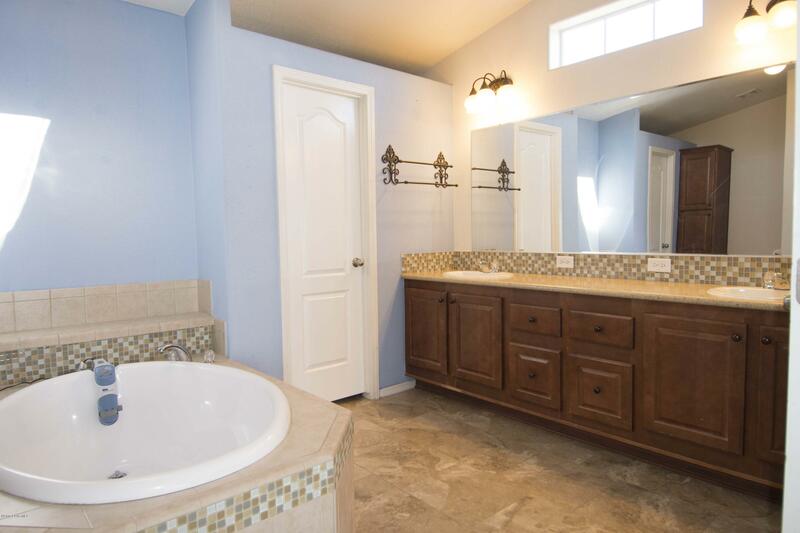 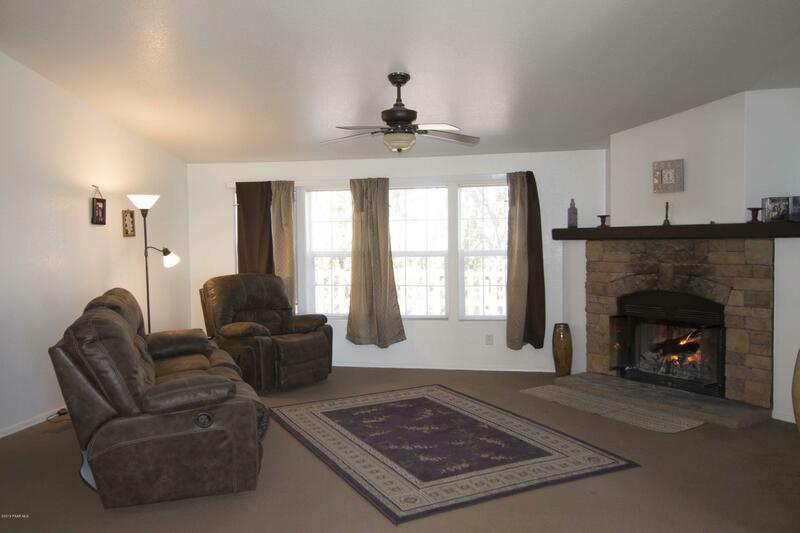 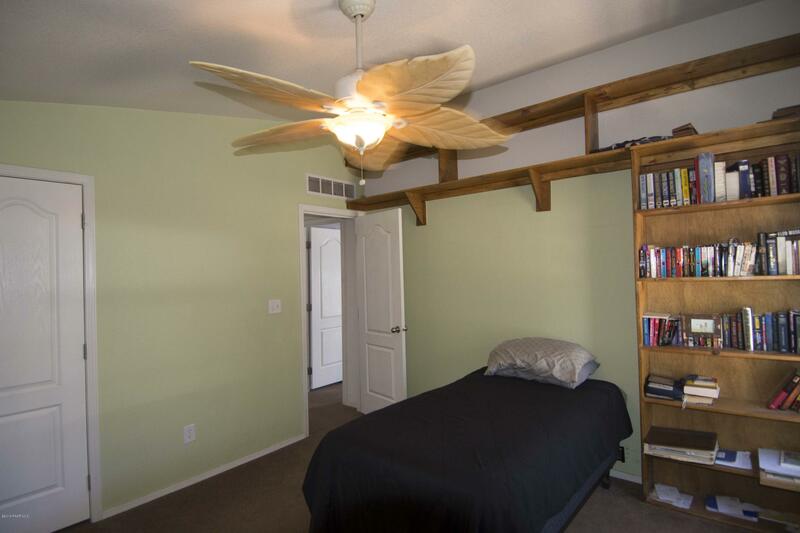 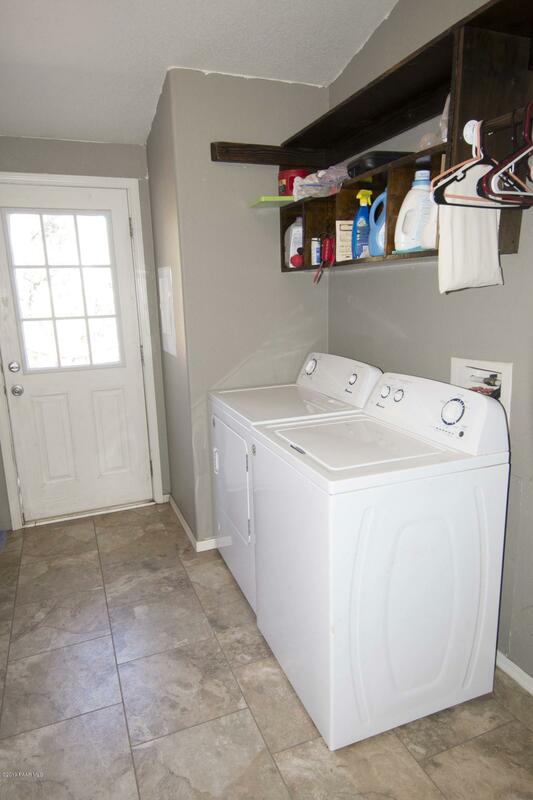 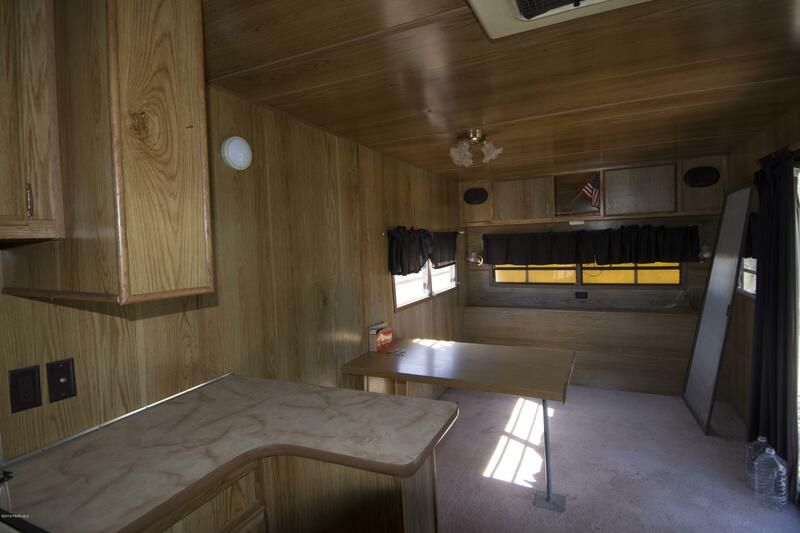 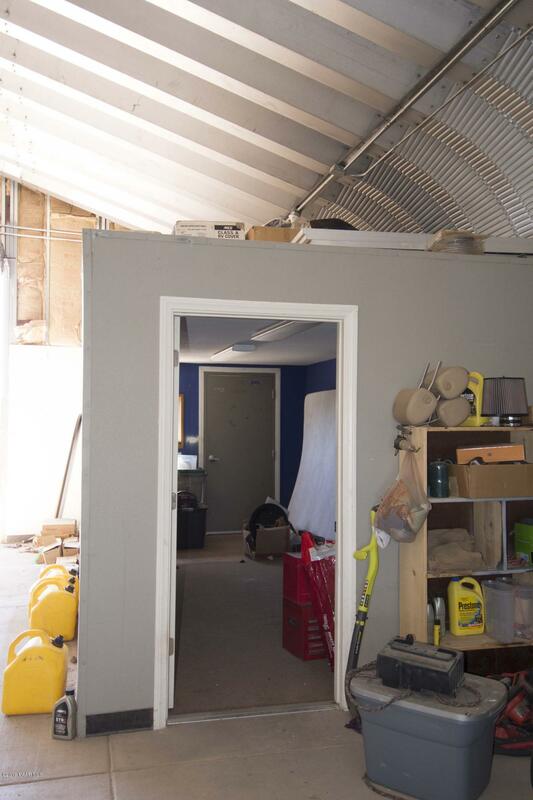 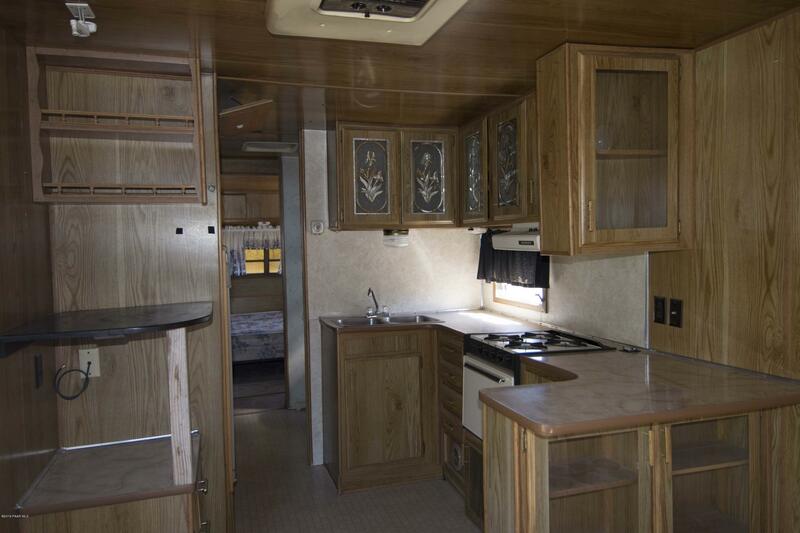 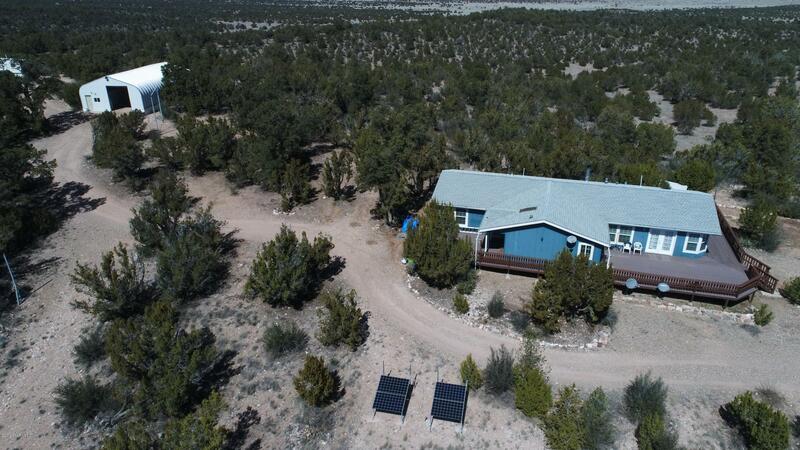 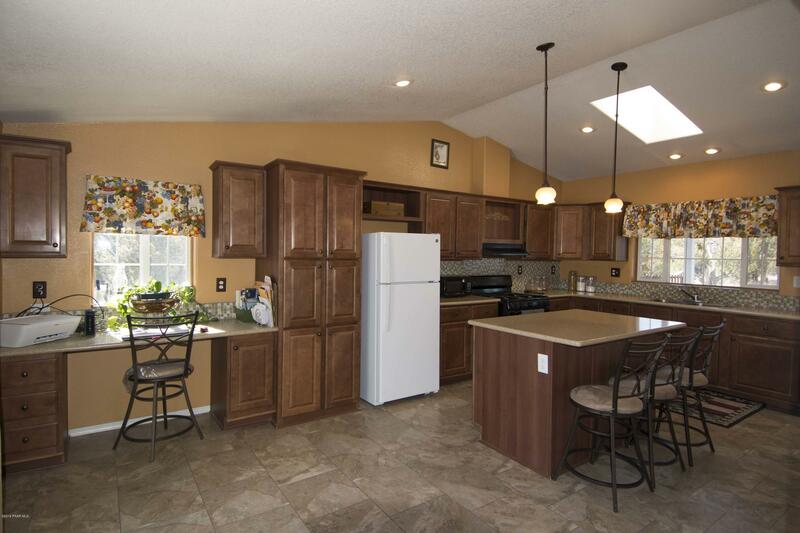 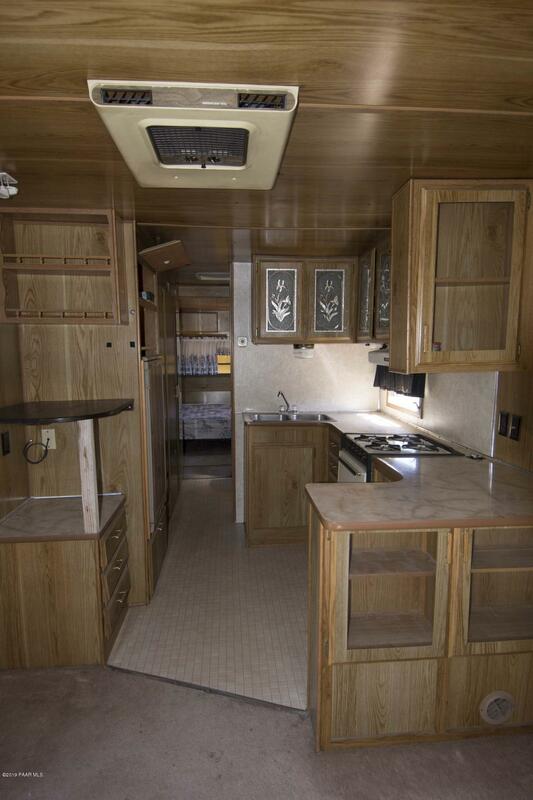 3 bdrms, 2 full baths, large welcoming kitchen with office nook, expansive living area, wood burning fireplace.Special Features include.... the 1500 SF Workshop/Garage, a guest camper, dog run, and 2,500 gallon water holding tank. 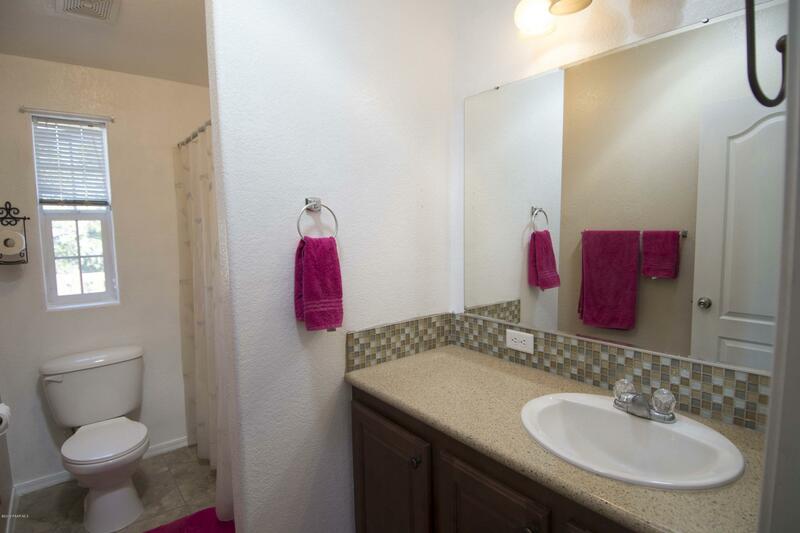 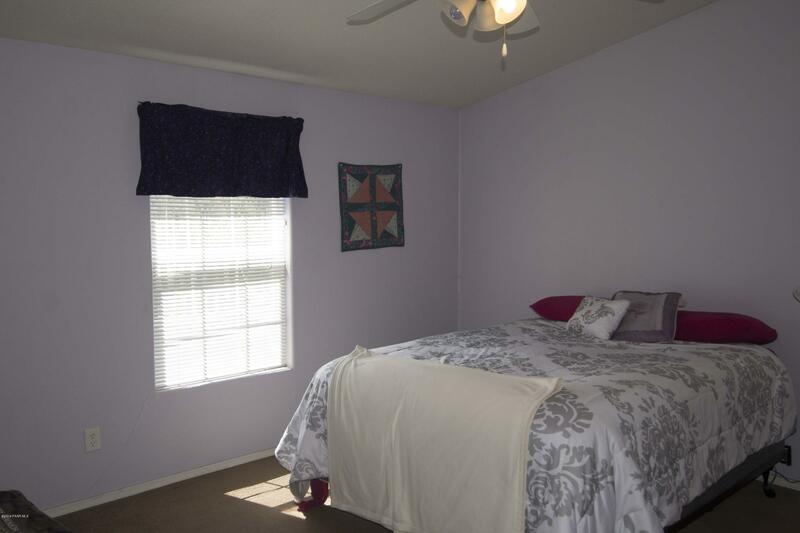 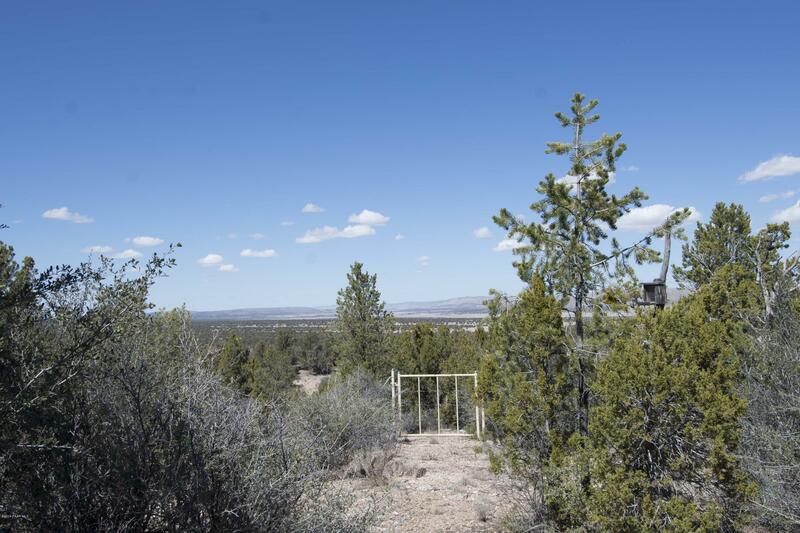 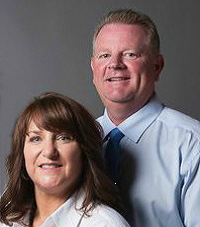 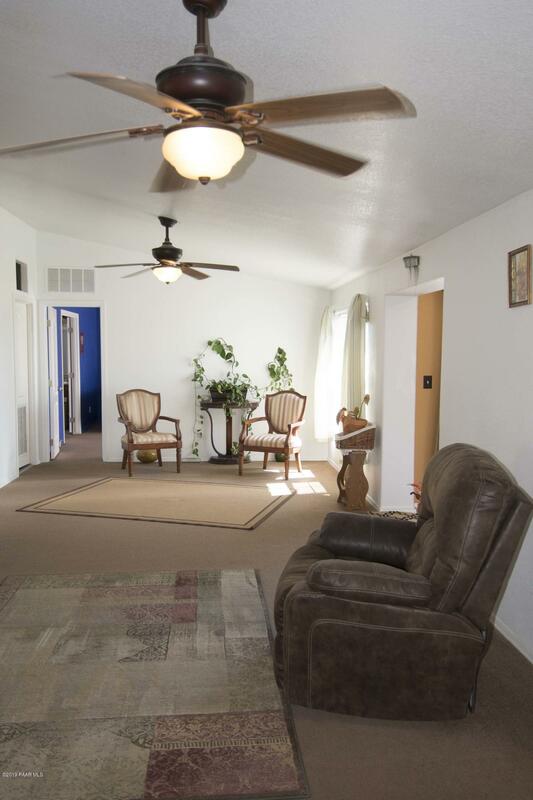 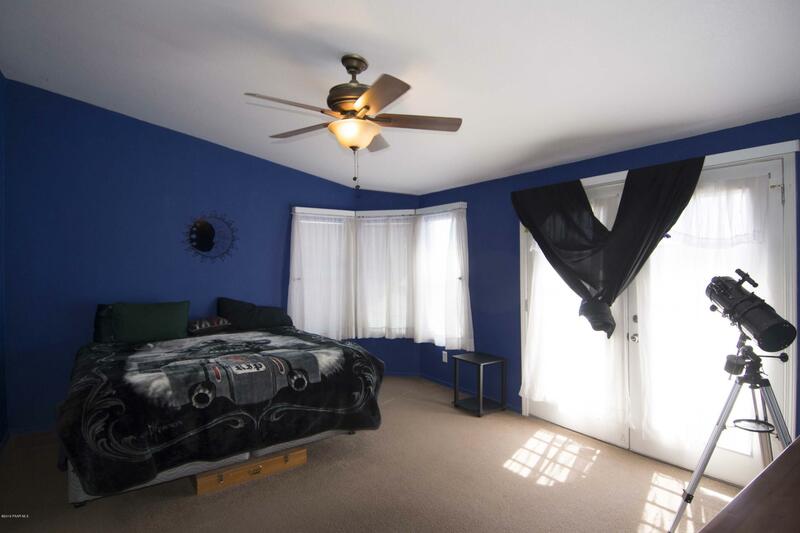 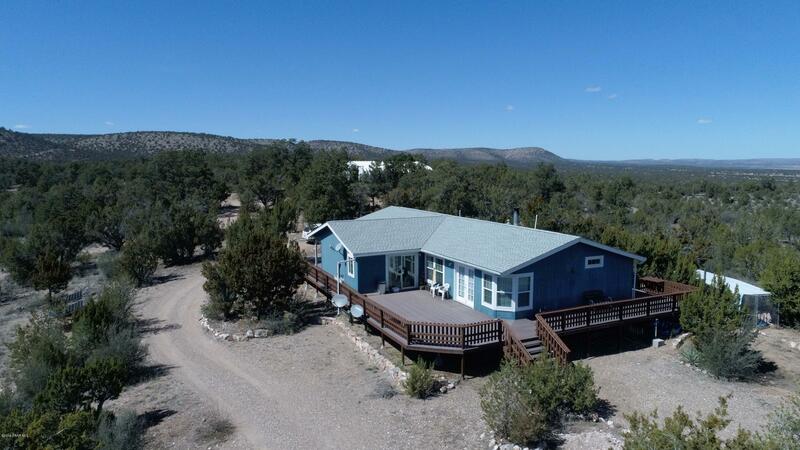 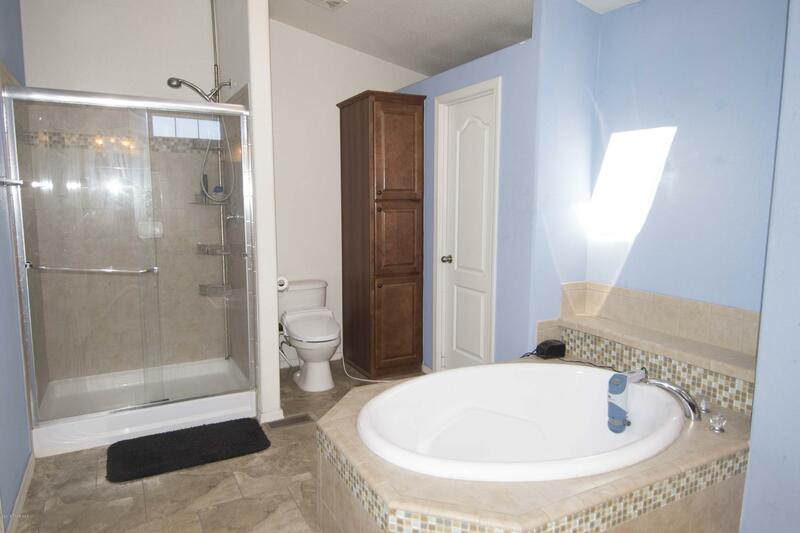 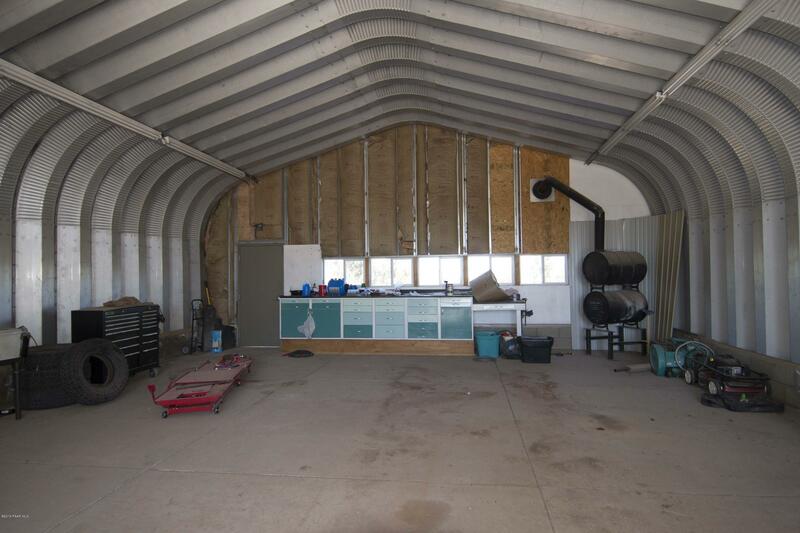 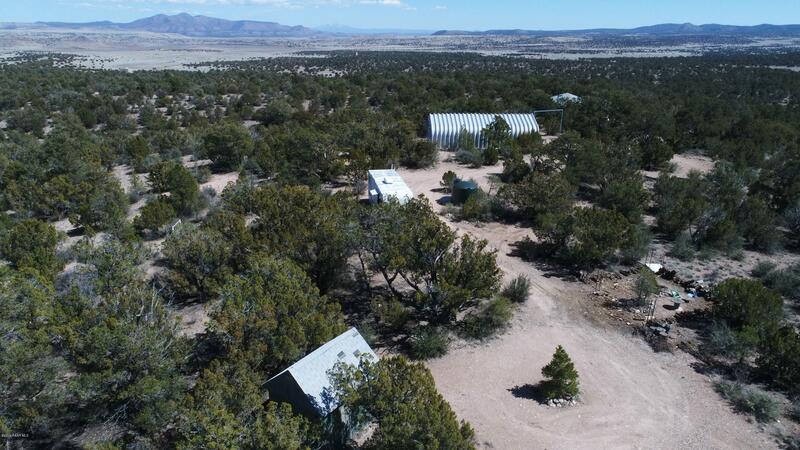 7 acres of the property is already fully fenced around the home and there are access gates at many points to access the remainder of your acreage. 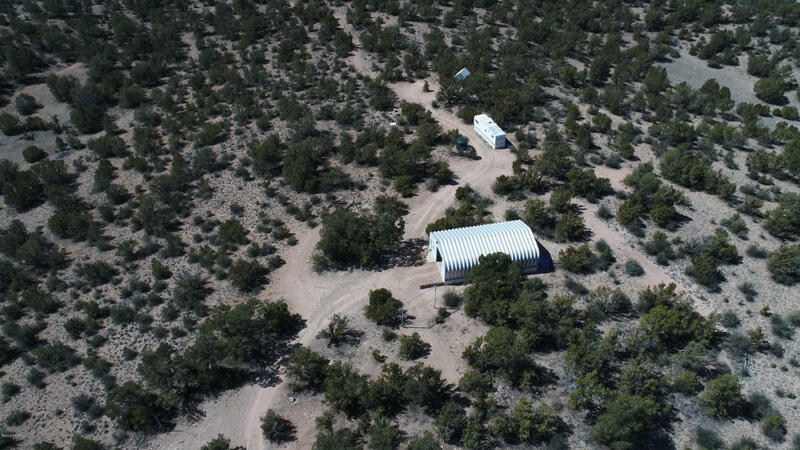 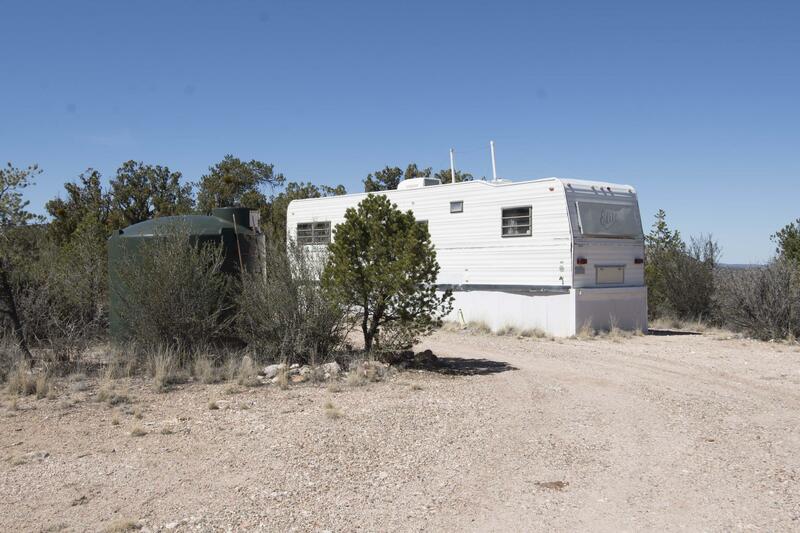 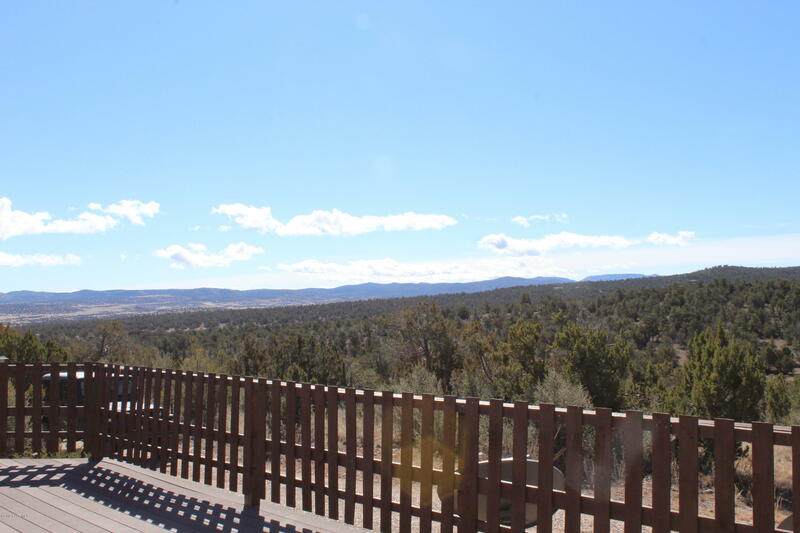 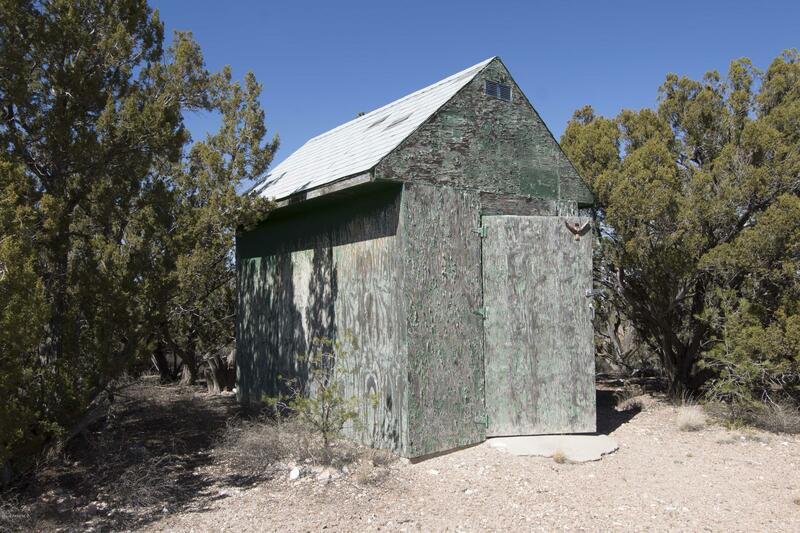 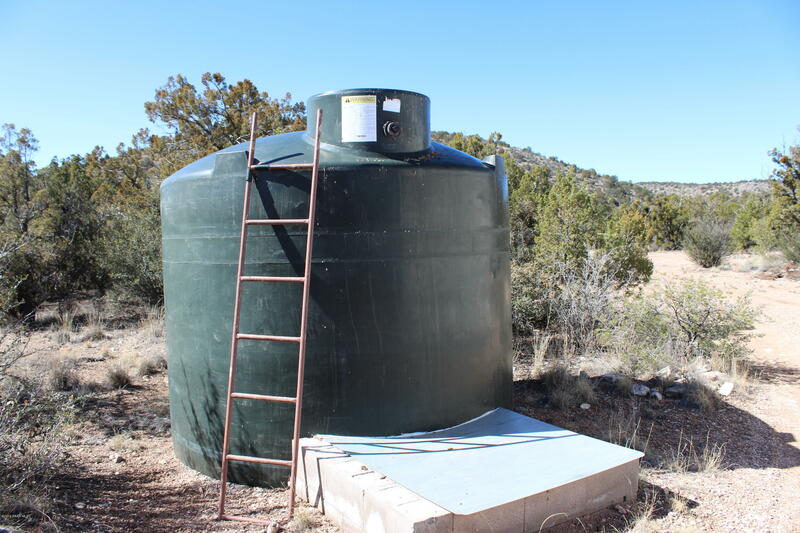 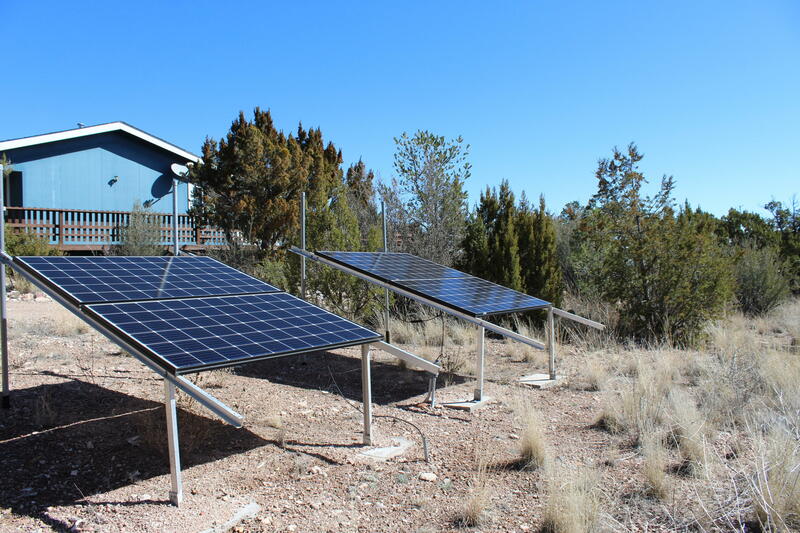 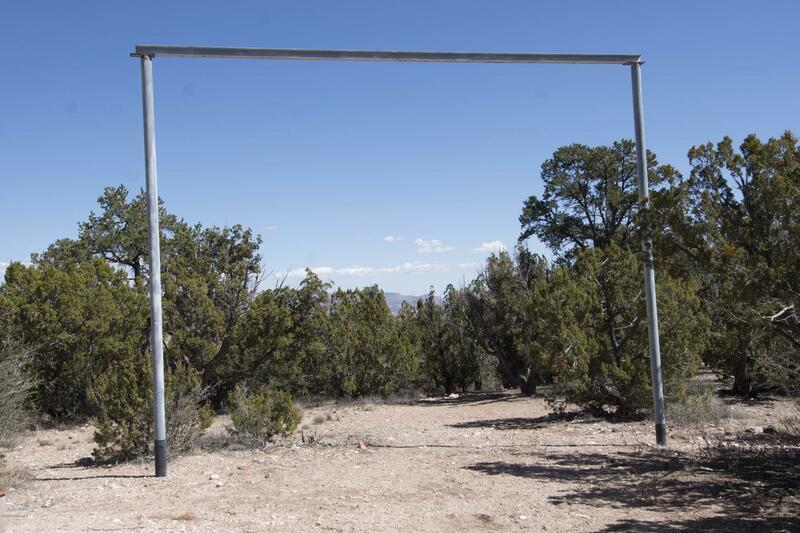 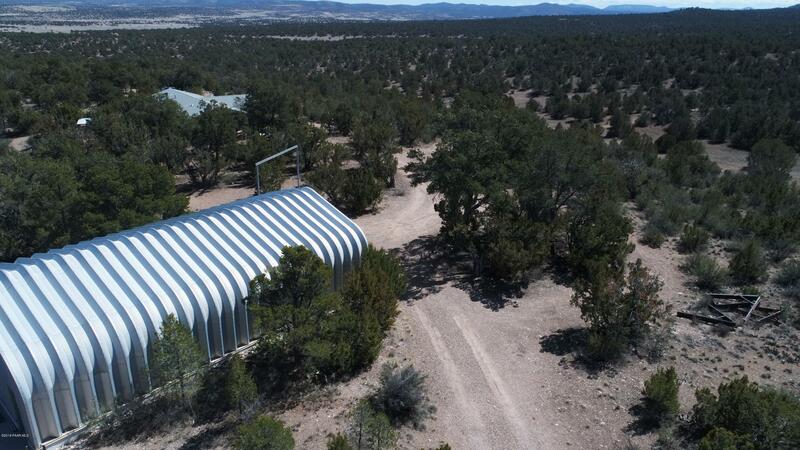 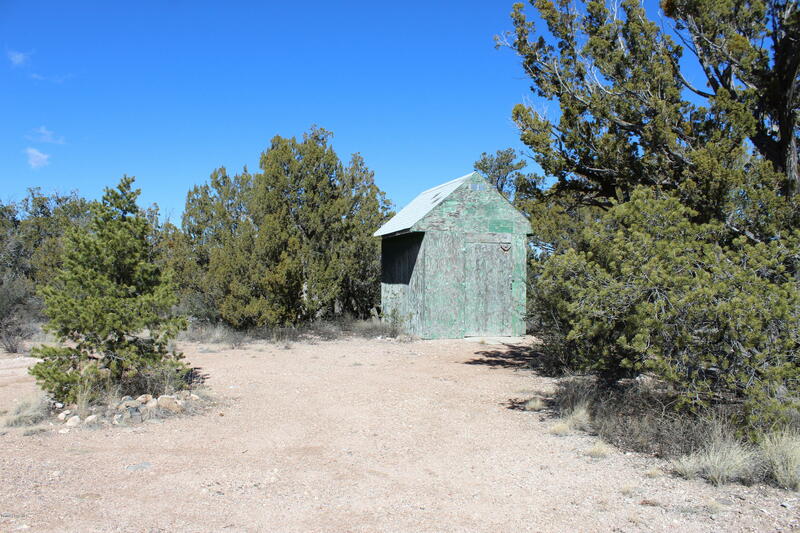 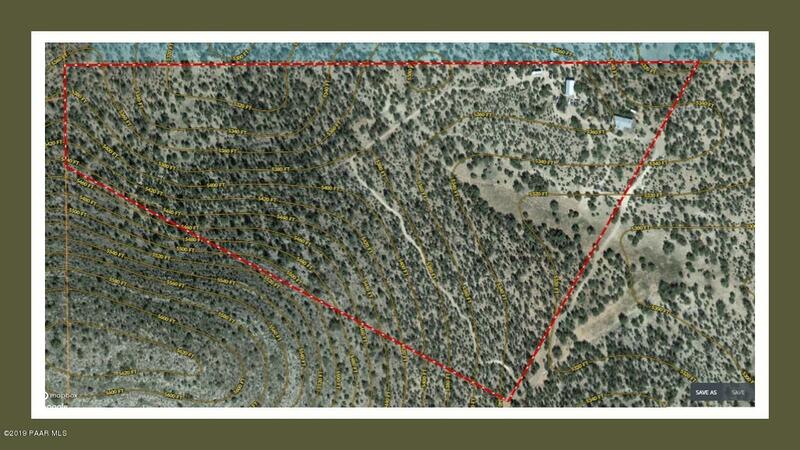 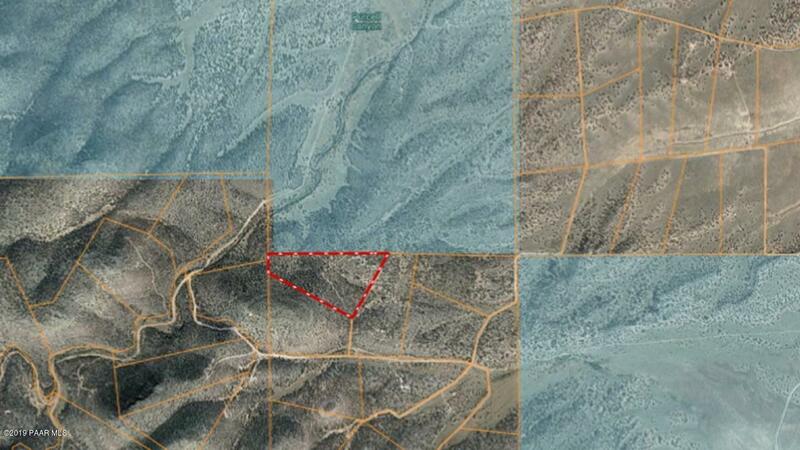 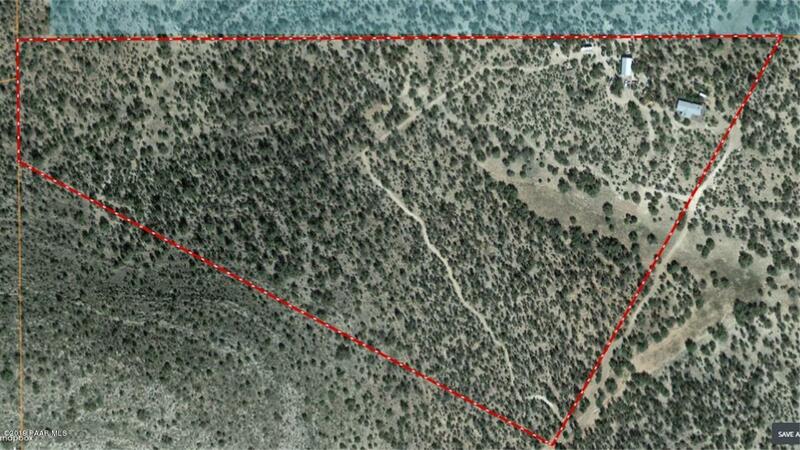 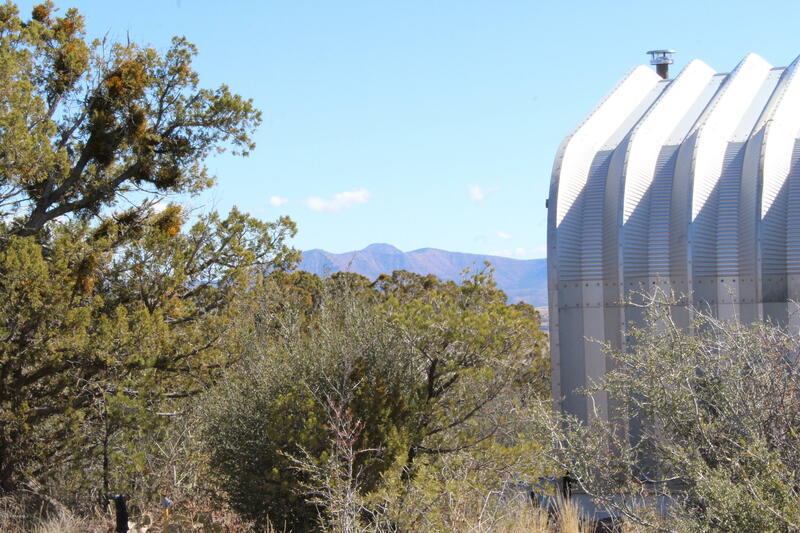 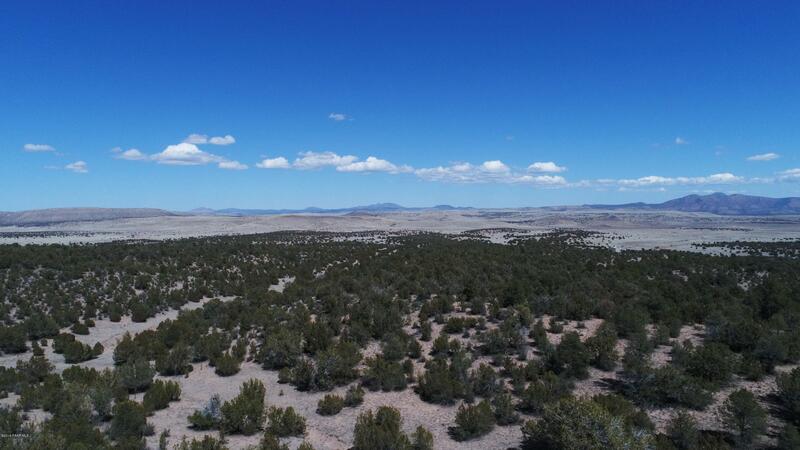 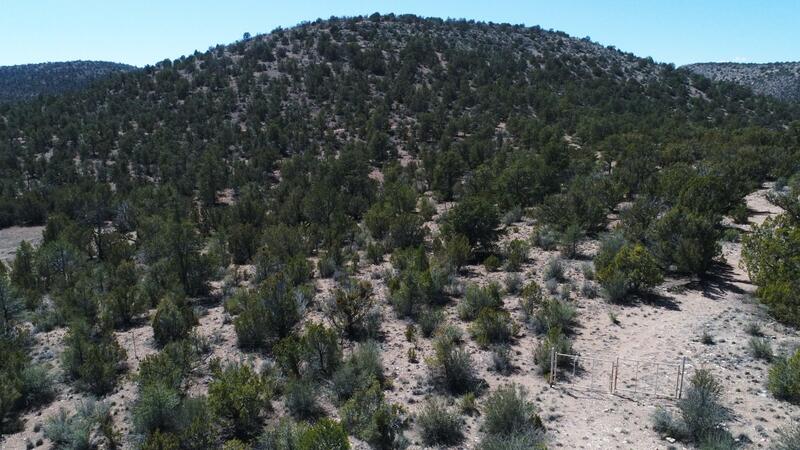 Property shares an entire border with State Land.Amazing property at a solid value in the mountains of Arizona. 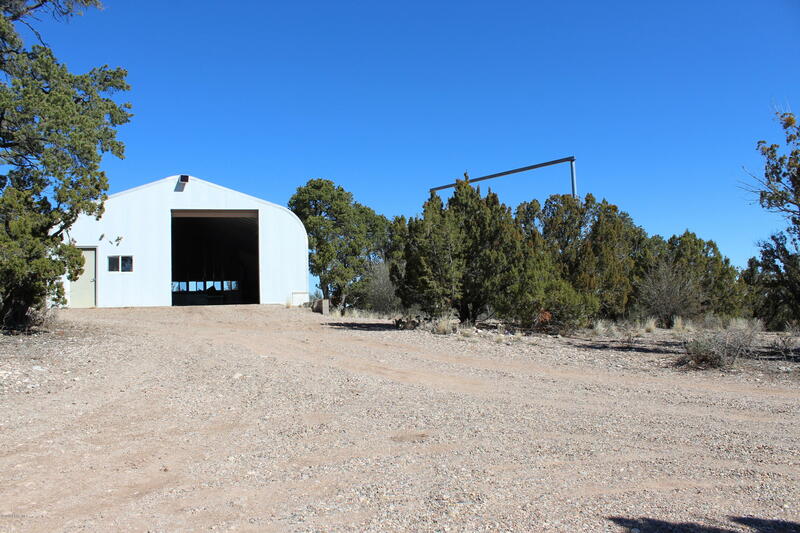 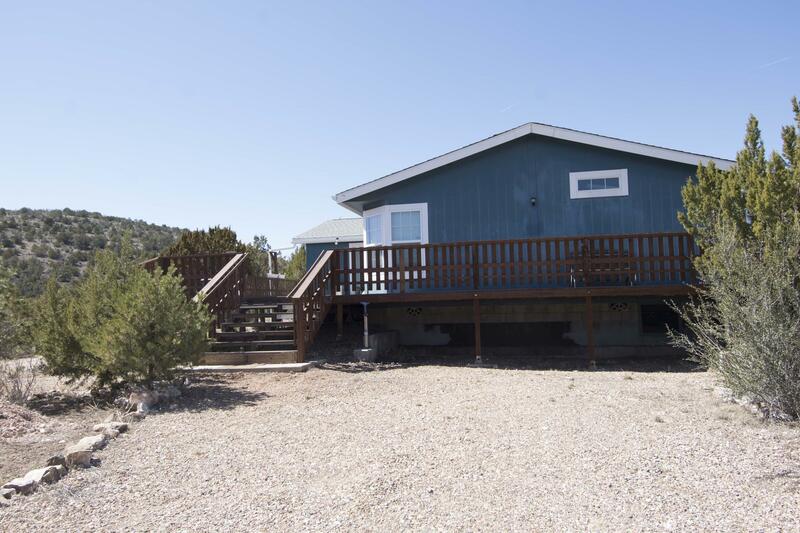 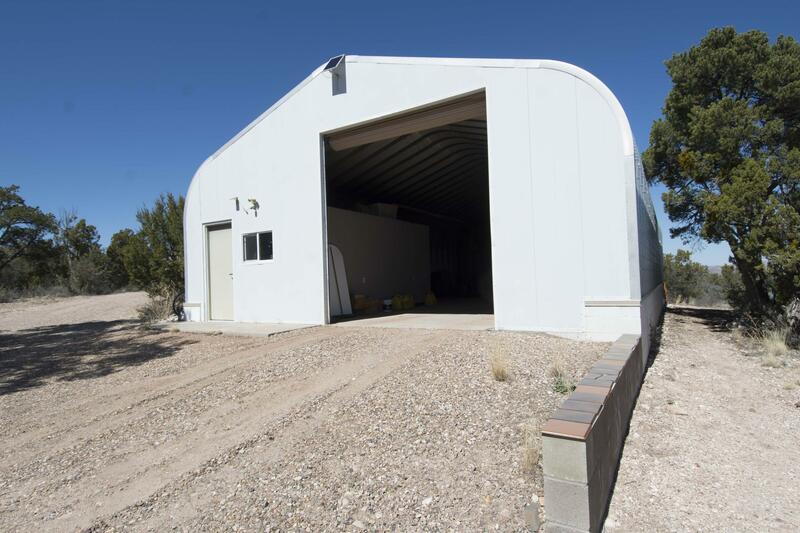 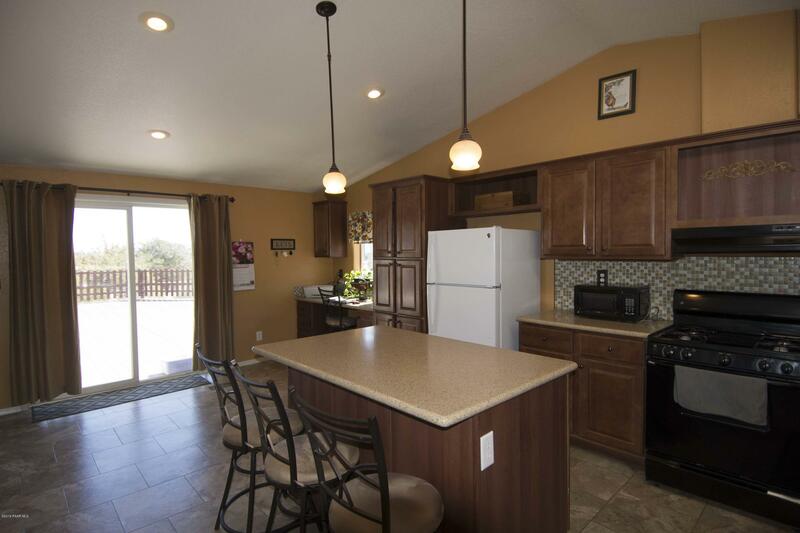 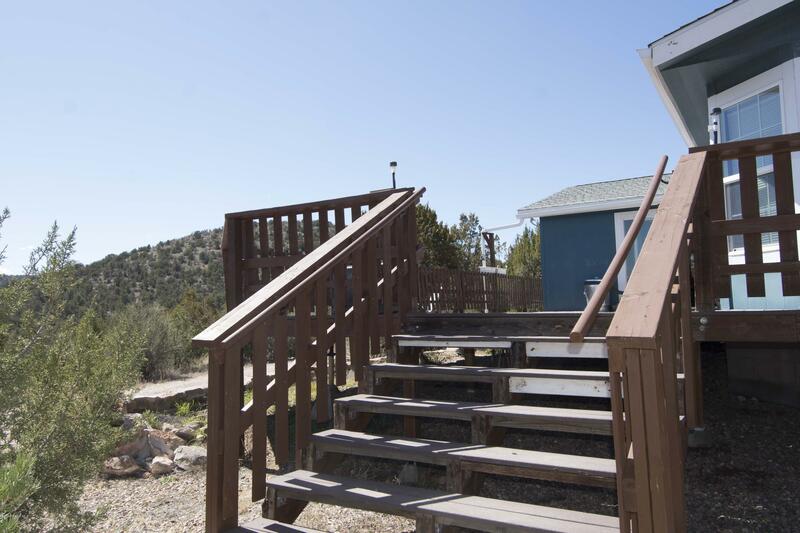 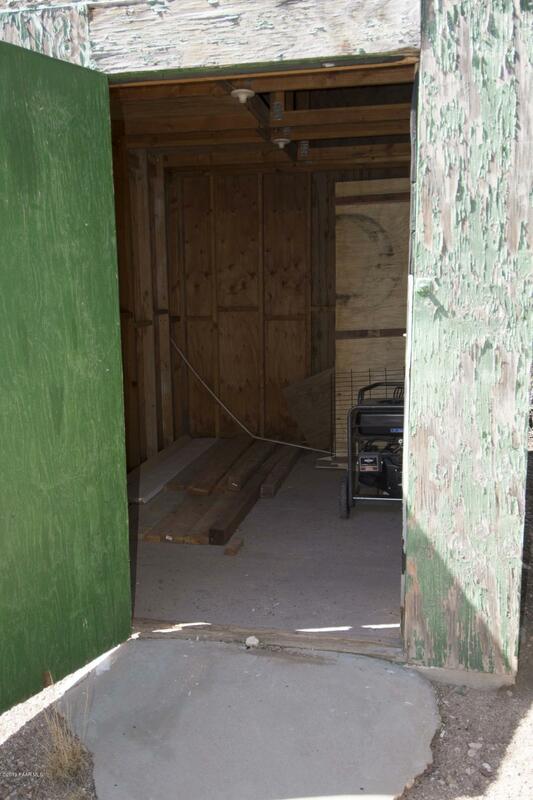 I would like more information regarding the property at 43950 N Winona Silver Way, Seligman AZ 86337 - (MLS #1018978).